Let's Do It for ME! : If it's Tuesday - it must be Susie! 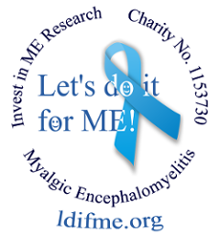 Furry fundraiser for Invest in M.E.! If it's Tuesday - it must be Susie! Furry fundraiser for Invest in M.E.! Since I began dog-sitting for Invest in ME, my calendar has become covered in regular pencilled-in sweet Susie-spots, marking the times this furry lass comes to fill the dog-shaped hole at my house. Susie the Whippet Cross has cuddled her special place into my heart, and from the reaction I get when I post photos and snippets about her online, into the hearts of her many other “spoonie” fans, too! Nobody seems to know exactly with whom, in canine genetic terms, her Whippet-y part is crossed. Brindled and lop-eared, with her long tail and dinky legs, her parents must have made an adorable “little and large” couple! Her human dad, who used to be a ministerial colleague of mine when I was still well enough to work, and her lovely human mum, adopted Susie over a decade ago as a rescue. I remember Susie as a pup lighting up our staff meetings, scampering around with her winning ways among Filofaxes and biscuit crumbs. In those days, I came home to a dog of my own. I never imagined then that M.E. would soon end my career, nor that Susie and I would meet in quite a different context, changed roles, as sitter and sat! Now, as she's becoming an old lady, profoundly deaf and with failing sight and an unreliable bladder, I'm so glad to say she treats my place as a regular home from home. She doesn't demand long walks, just a run round the garden between snoozes, somebody to dish out her dog-food and a lap for cuddles. It's good to know that through this win-win situation, Susie doesn't have to face the trauma of kennels, her family has peace of mind that she is happy and well loved while they're away, and modest sums in lieu of kennel fees are donated to Invest in ME each time towards biomedical research, so desperately needed by all of us with this devastating condition. Well, excuse me, I must prepare to be licked and loved; my calendar says it's nearly Susie time again! New Year Matching Donation Offer!